This is a digital download. Your files will be sent to your email, you can print them out at home or send to a local printer. You will receive all 4 prints. 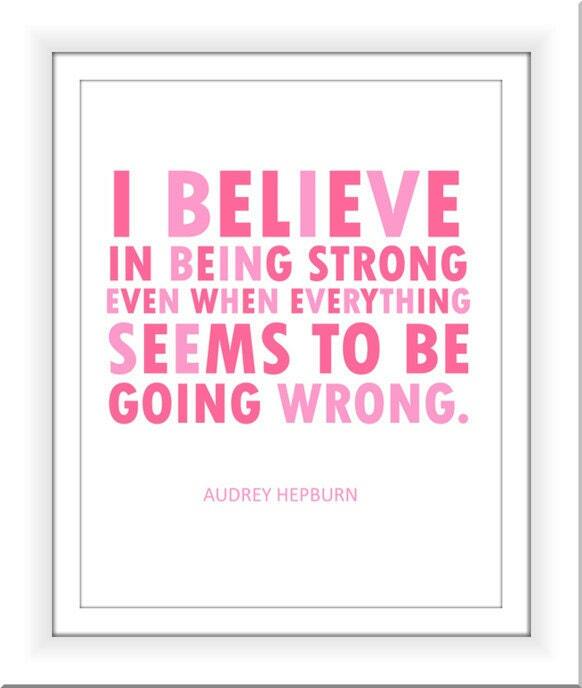 Who does not love pink? 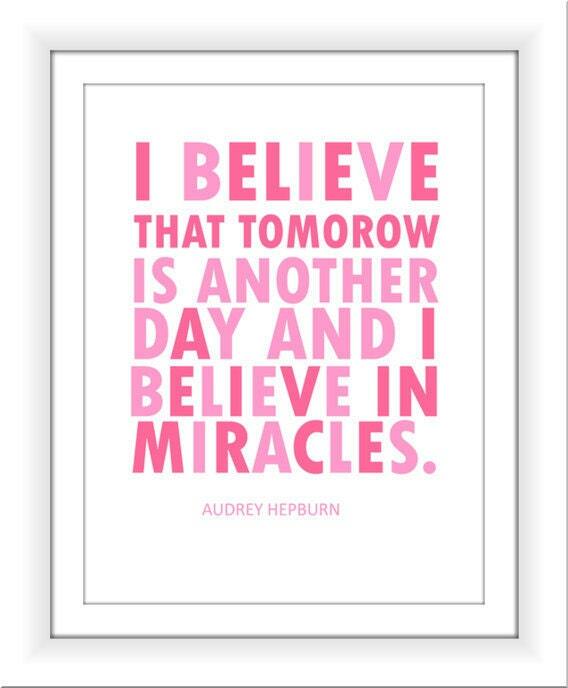 The words of Audrey Hepburn live on today in this adorable 8x10 print set. 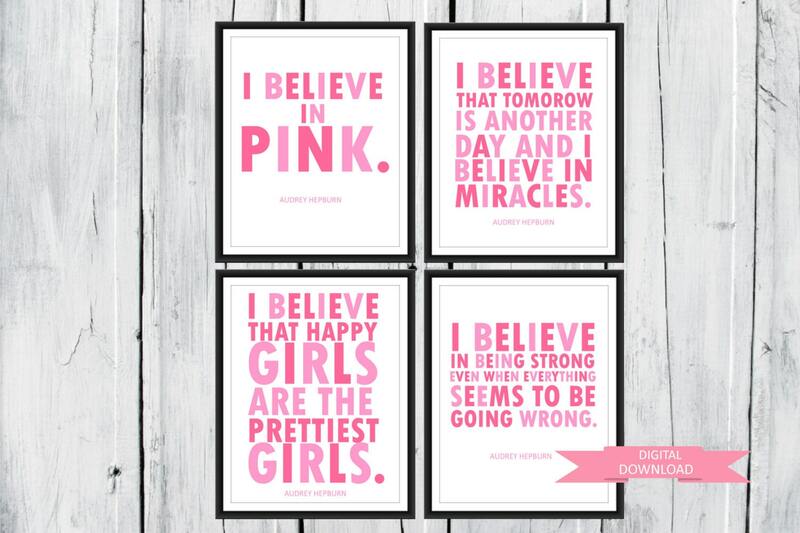 You will receive all four of these fabulous quotes for one low price. At checkout please let me know if you would like the colors changed. I will send the files to your email within 24 -48 hours after purchase, usually much sooner.